The beater bracket is quickly turning into "a good reason to post awesome 924s on my lunch break." And there are SO MANY AWESOME 924s. Did any of the other beaters come with factory Martini stripes? NOPE. 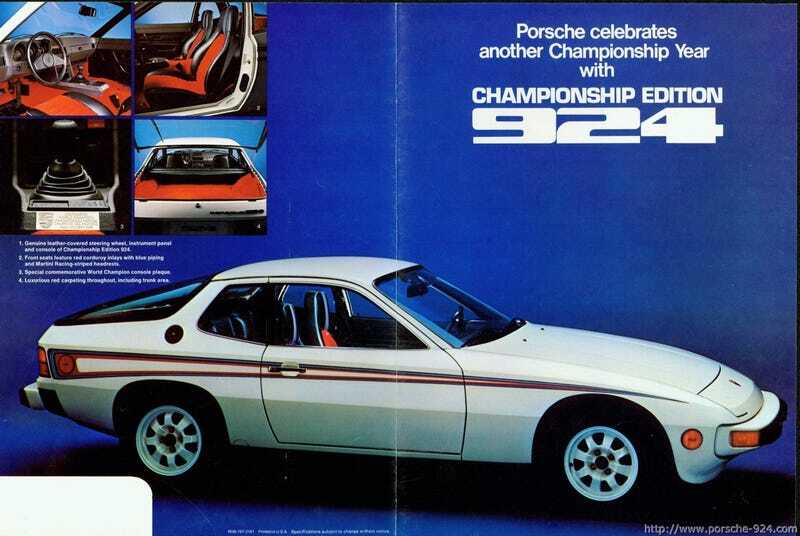 Let's not forget the Sebring '79 edition, either. Look, if you don't vote for the 924 in the beater bracket, you must hate racecars, plaid seats and ALL THAT IS GOOD WITH THE WORLD.